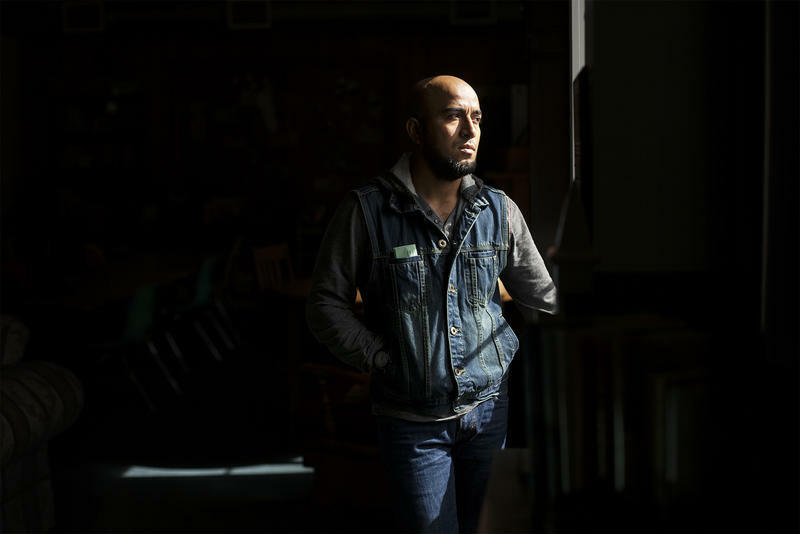 Alex Garcia poses for a portrait at Christ Church, United Church of Christ, in Maplewood, Missouri. The organization is giving him sanctuary. “My mom always said choose your battles wisely,” Carly Garcia said. Because she couldn’t imagine her family’s life without Alex, they made the only decision that gave them a chance to keep their family intact. 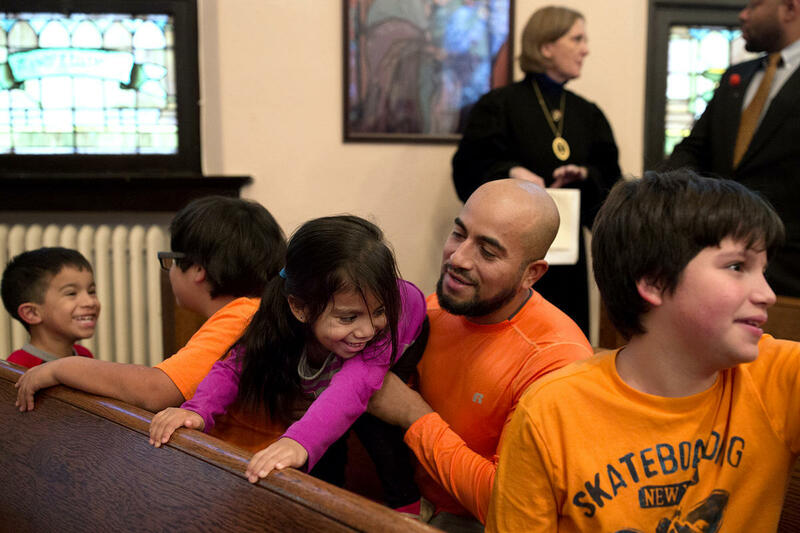 Christ Church is part of a growing network of congregations pledging to provide sanctuary — to take a stand against an immigration system their leaders say is broken and immoral. “We can’t act like some human beings just don’t matter as much as others,” said the Rev. Rebecca Turner, who two weeks earlier agreed to welcome Garcia. 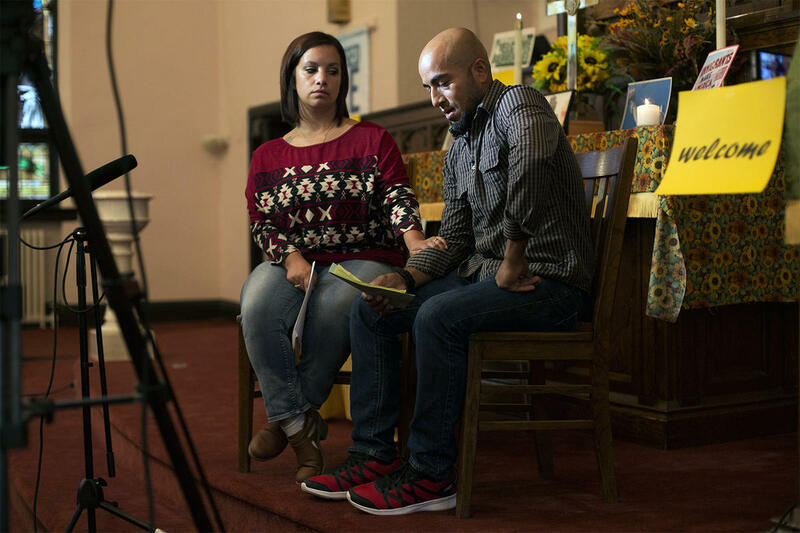 Taking public sanctuary, she said, allows people to tell stories about how immigration enforcement affects their families. Garcia eats dinner with his son Xander, 5, during the family's weekend visit to Christ Church. They ask him about his life. So he tells them about leaving Honduras as a teenager, with his mother’s blessing and not much else. How he got on a train in Texas in search of the American dream and ended up in Poplar Bluff. How he met his wife there, more than a decade ago. How his kids are his everything. The Rev. Rebecca Turner (center) leads a prayer outside the ICE sub-field office in St. Louis. Nicole Cortés (left), filed paperwork requesting a new stay of removal for Alex Garcia. Carly Garcia comforts her husband, Alex, as he nervously reads from a prepared statement during an interview with a TV station from Poplar Bluff, Missouri.